mozzarella and marinara | Kaprise! You guys. I did a bad thing. 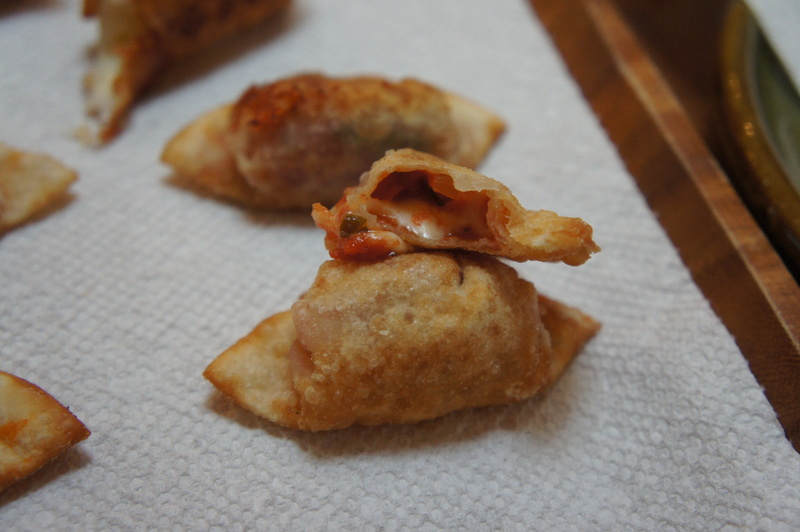 I made these… and instead of sharing? I ate them all. So. First, these aren’t calzones. Sorry if I roped you in based on that information. Misleading title huh? 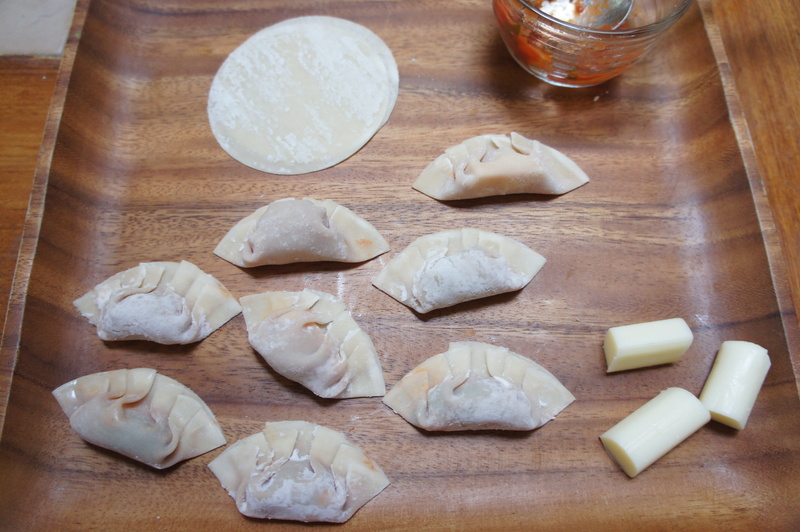 But I didn’t actually know what to call these little things because they aren’t dumplings, or calzones, or really anything. Instead – it’s just a crispy shell filled with mozzarella and tomato sauce… which is really what a calzone is, but baked. These babies are fried. Anyway… before we get to the recipe, as always I have some rambling to do (you love my rambles, you do!). In college, I used to order a pizza, sit, and eat each and every single piece by myself while I studied. I could normally polish off the entire pizza in an hour, sometimes longer if I was actually studying. Well, one day my best friend Corinne caught me in the act and to this day, she won’t let me live it down. She thinks it’s hilarious that I used to regularly stuff down entire pies of pizza. Small confession: I definitely did this in my last year of law school. Oh right… back to the calzone-things. There used to be a delivery place that would deliver amazing calzones at my undergrad. I don’t know if they still do and it’s been so long that the name escapes me… but Corinne and I used to eat calzones in the library, hung over, and working. I know… I’m painting such an attractive picture of my college years, aren’t I? 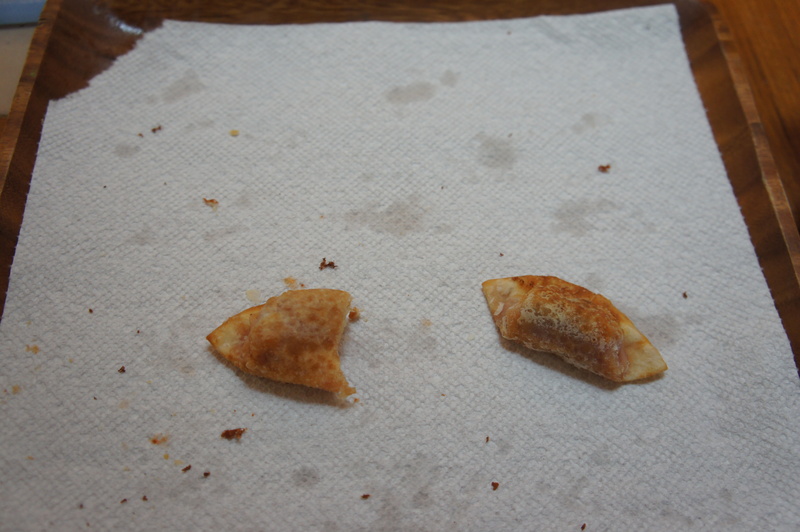 So, I’ve been thinking about teeny ones, like one bite calzones for the longest time because everyone likes finger food. And, for me, I like more sauce and more cheese and less bread than a normal calzone offers. Originally, I thought about doing this little recipe in actual yeast raised pizza dough, but then I forgot to buy yeast. 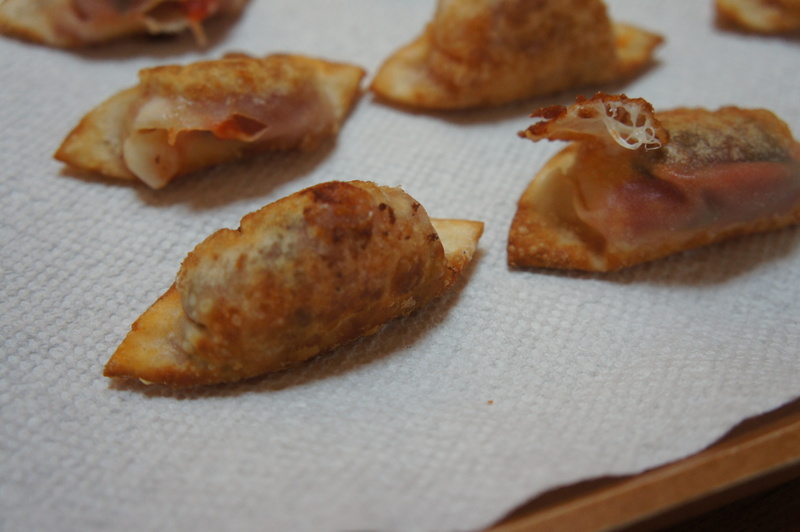 So then I was thinking pie crust, but I got lazy and decided on wonton wrappers. 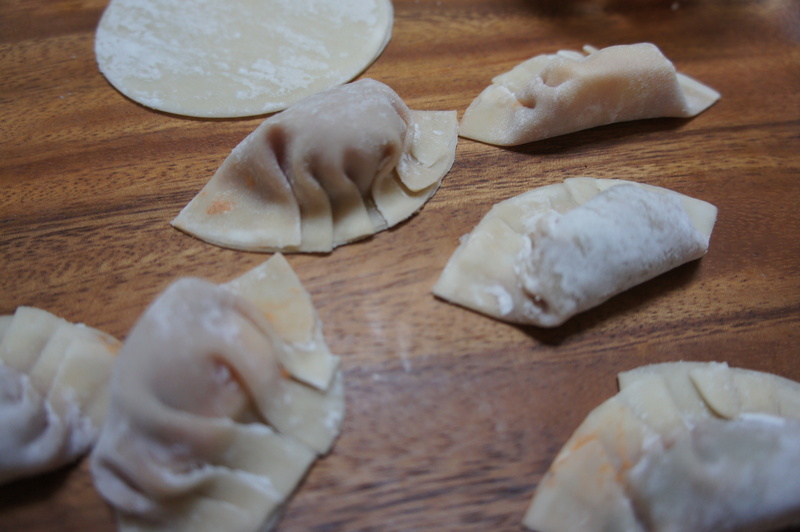 I always have a package or two of wonton wrappers in my freezer, so it worked out. I’m cleaning my fridge and making my food-dreams come true. Right on. Here we go. So before we get started, I highly recommend using a splatter guard. It’s one of those mesh things that you pop over the top of frying pans to prevent oil splatters. I really debated on making these at all because frying anything “wet” like tomato sauce can be a HUGE problem and lead to really dangerous splattering oil. And then after I made them, I debated on posting them here, because I don’t like the idea that anyone makes something I recommend and gets hurt. However… I decided as I was cleaning that you are ALL adults and I am giving you the appropriate warning so there it is. BE CAREFUL! *** I recommend using the chunkiest sauce you have so that you can eliminate the more fluid and liquid-y parts of your sauce. I made sauce from whole canned tomatoes a few days ago, so I used the chunks of tomatoes from that sauce only. 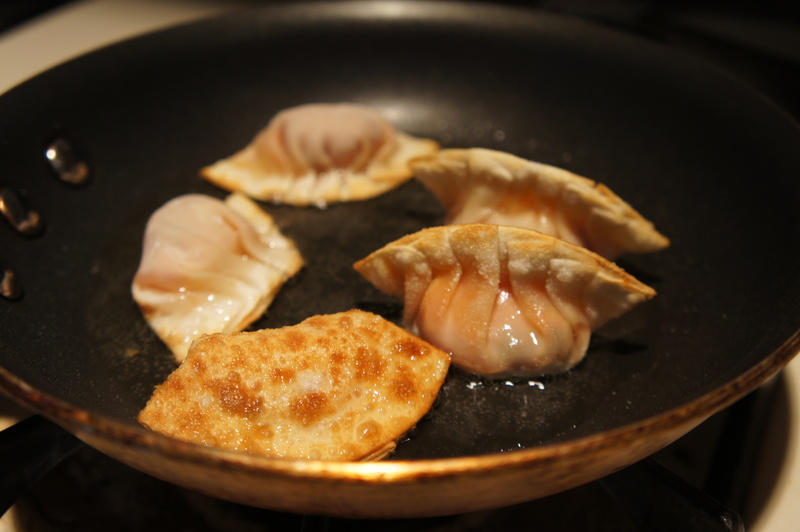 The reason for this is that in case your wrapper leaks as you fry, the sauce won’t hit the oil and turn into a fountain of spluttering hot oil. Seal the circles with a dab of water and press firmly so that the wrappers are 100% sealed. You want to give yourself a little room as you seal these. 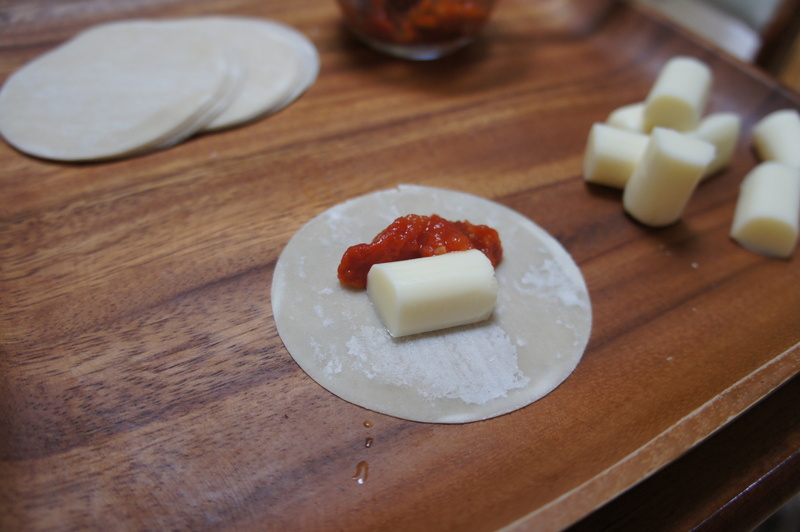 The sauce and cheese will puff a bit as you cook so you should give them room to move around without breaking the seal of the wrapper. 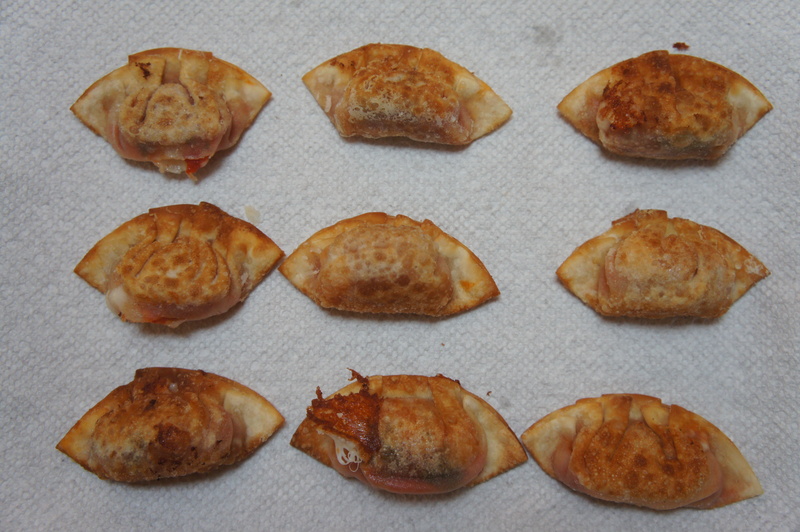 Fry on each side for about 1 minute, or until golden brown. 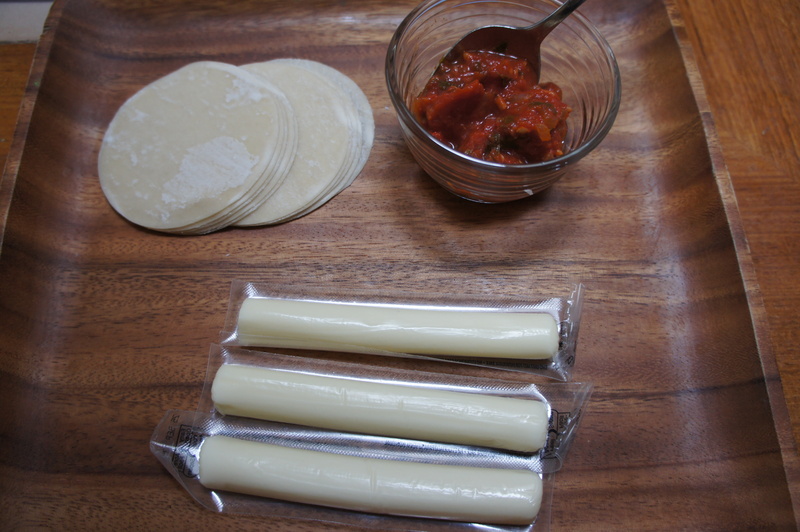 If cheese or sauce leaks from your wrappers and causes the oil to splutter, step back until the oil has stopped spluttering before removing the little calzone. Better to have burnt food than burnt body parts. I hope you enjoy this recipe! I can see this being versatile and becoming as down to earth or as sophisticated as you want. This would even be good with a dollop of goat cheese and fig spread! !